The Flex Impact Award recognizes policies or initiatives that are poised to have a significant impact on the culture of flexibility in an organization or industry. Recognized initiatives exemplify what it takes to create positive change in workplace culture, the success of the business, and/or the recruitment and retention of talent. 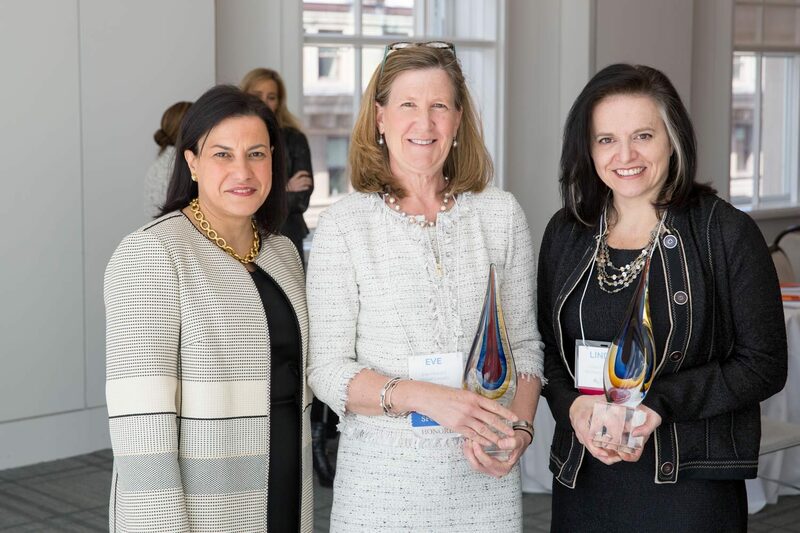 First presented in 2017, the Alliance selects one or more impactful flex initiatives within the legal, financial services, consulting, and/or corporate industries to honor with the Flex Impact Award. Initiatives are recognized each year at the Alliance’s Annual Conference in Washington, DC. 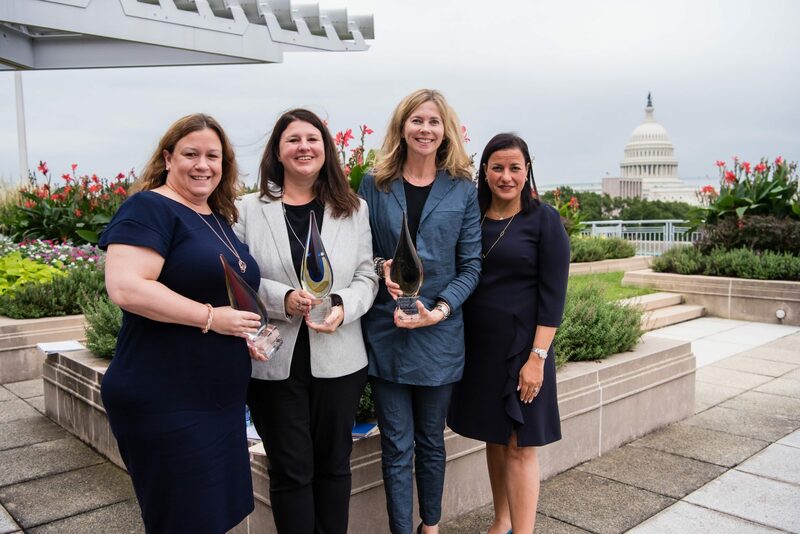 The 2018 Flex Impact Awards were presented at the Annual Conference Diversity + Flexibility = Embracing Change on Thursday, September 27, 2018. Representatives from Fried Frank, White & Case and Dell accepted the 2018 Flex Impact Awards from Alliance President, Manar Morales. Award Accepted By: Eve Howard, Regional Managing Partner, Washington, D.C.
For more information about the Flex Impact Award, or to share information about your organization’s innovative initiative, contact Eliza Musallam.